According to the brand that is filling my pantry right now, all 2019 is asking of us is to BE YOUR BEST YOU and LOVE YOURSELF. My shelves are lined with KÖE Kombucha as I prepare to launch a January #SimpleSwap challenge, helping all the mamas out there kick that afternoon crutch to the curb! Do you find yourself needing that afternoon cup of coffee, Diet Coke, or leftover Christmas cookie...just to get you through the rest of the day? Join me in swapping it out with something even BETTER for your taste buds and your health. But what exactly is kombucha? It's a fermented tea drink that is naturally rich in gut-friendly probiotics, as well as high in antioxidants and other micronutrients your body craves like B vitamins, enzymes and organic acids. It's made by mixing tea and sugar with a SCOBY (a Symbiotic Culture Of Bacteria and Yeast). The resulting bubbly drink offers plenty of health benefits, including improved digestion and immune function. It's been around for 2,000 years and isn't going anywhere anytime soon! The makers of KÖE Kombucha have used their genius powers to develop their kombucha into not only a great-tasting, probiotic-packed effervescent treat...but they've made it SHELF STABLE as well, which means you can stock your pantry without using up precious fridge space! 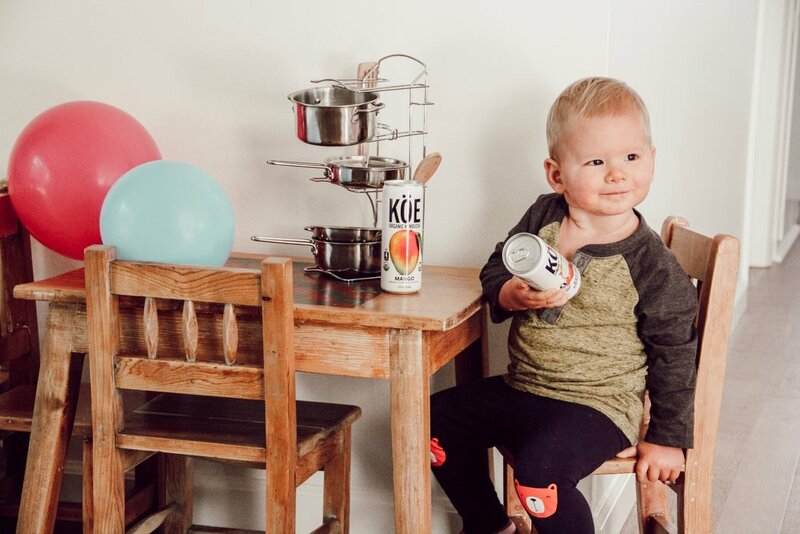 And if your little one sneaks a sip, you don't have to fret because unlike most sodas, KÖE Kombucha doesn't contain any high fructose corn syrup or artificial flavors or sweeteners. So post your #SimpleSwap photos and/or stories on Instagram (anything you are adding into your routine to replace something your body doesn't need), tag @drinkkoe and @madelinenutrition, and use the hashtag #SimpleSwap for a chance to win an in-person PANTRY MAKEOVER from me, PLUS $250 worth of groceries and a three-month supply of KÖE and Perfect Hydration electrolyte water. Winner announced January 31! Must be located in Southern California to win.